South Africa is considered one of the best road trip destinations in the world and it is not difficult to see why. 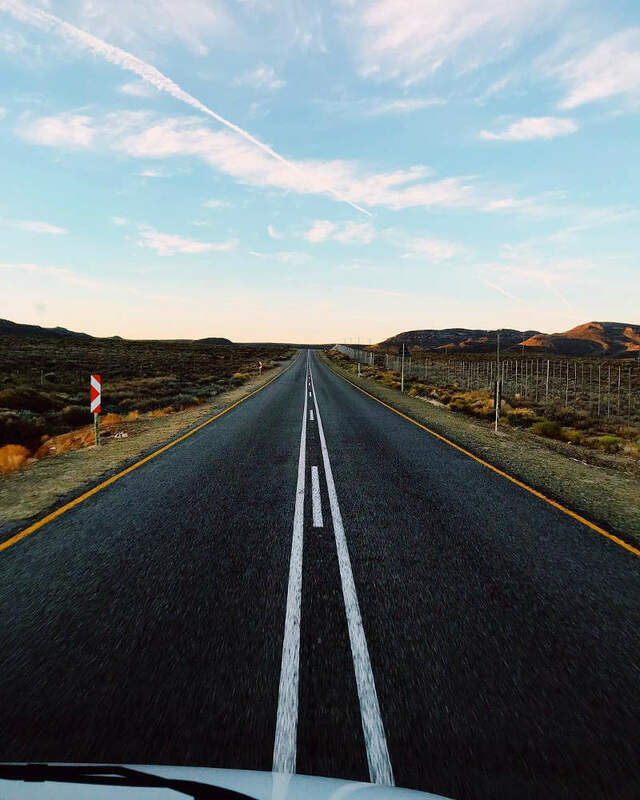 From the sunny small towns of the Western Cape and dusty outback of the Northern Cape, to the mystical boondocks of Mpumalanga, roads are the lifeline of the country. 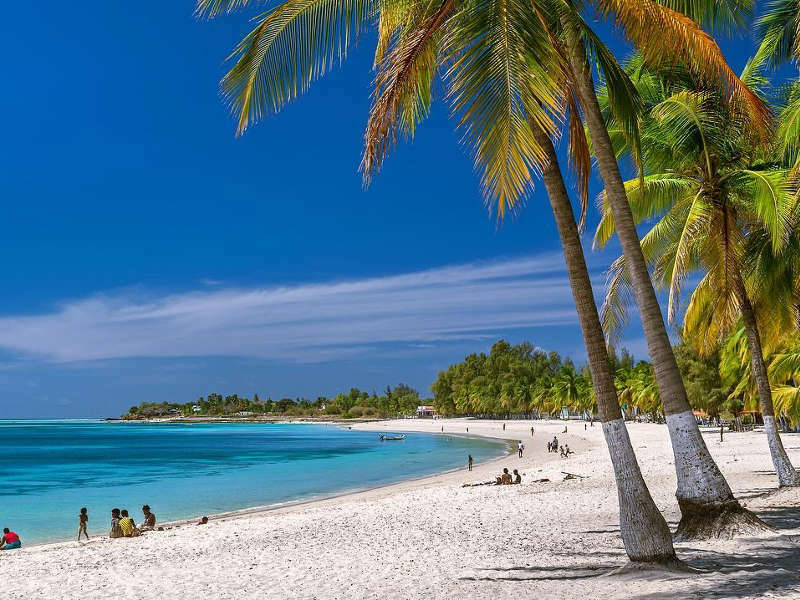 They connect glittering cities with small towns that sizzle in the desert heat and sea-sprayed coastlines where salt hangs heavy in the air with fragrant pine forests and rocky mountains. And while some roads stretch for kilometres towards mysterious horizons, others end after a few short metres at a rickety gate with a “PRIVATE PROPERTY” sign on a lonesome pasture. 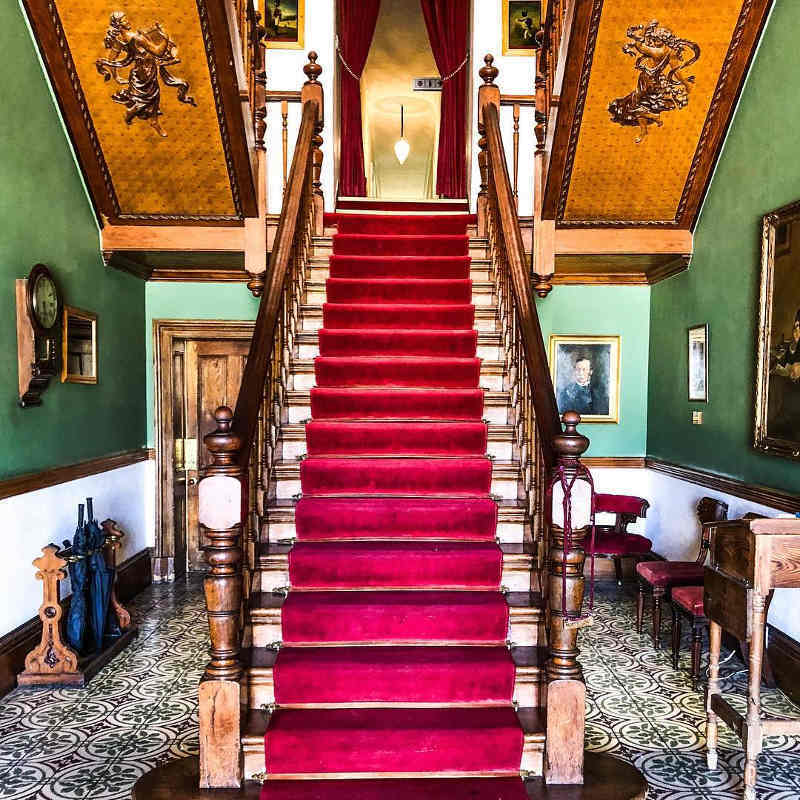 These roads offer incredible chances to explore unknown towns and experience the soul of the country at your own pace with the windows down and your feet on the dashboard. 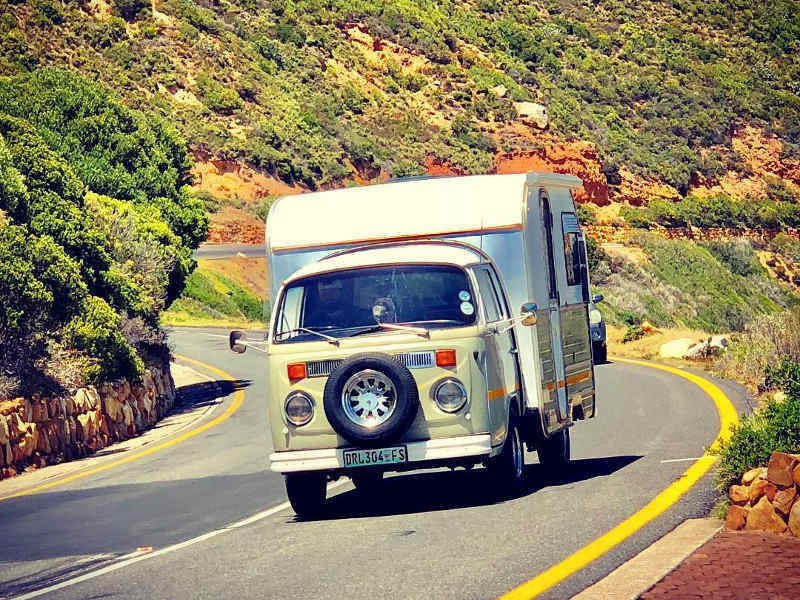 So, compile a kickass playlist, pile your bags, family, friends, pets into the old jalopy or car rental and get ready to explore some of the best road trips in South Africa. Don’t have your own wheels? Find and compare cheap car rentals on Travelstart.co.za! 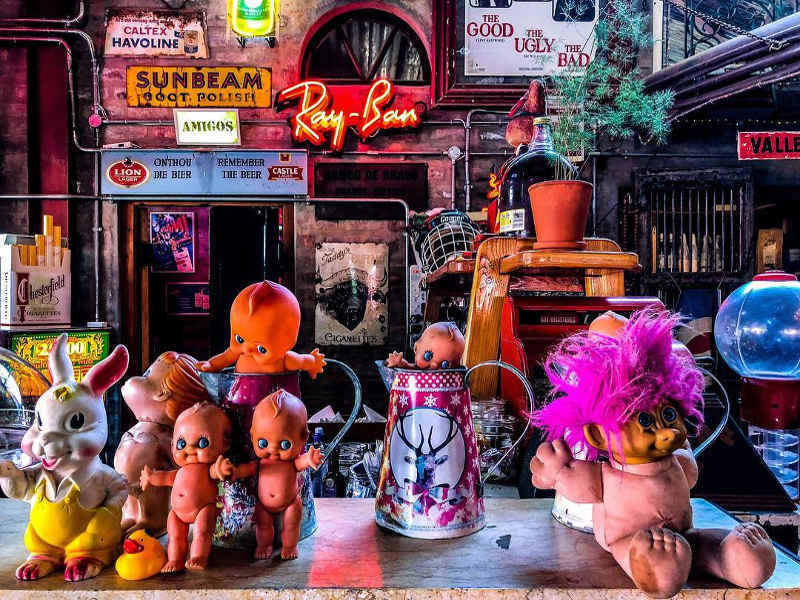 If good wine, delicious food, Instaworthy landscapes, and quirky experiences get your pulse racing then Cape Route 62 is the road trip for you. 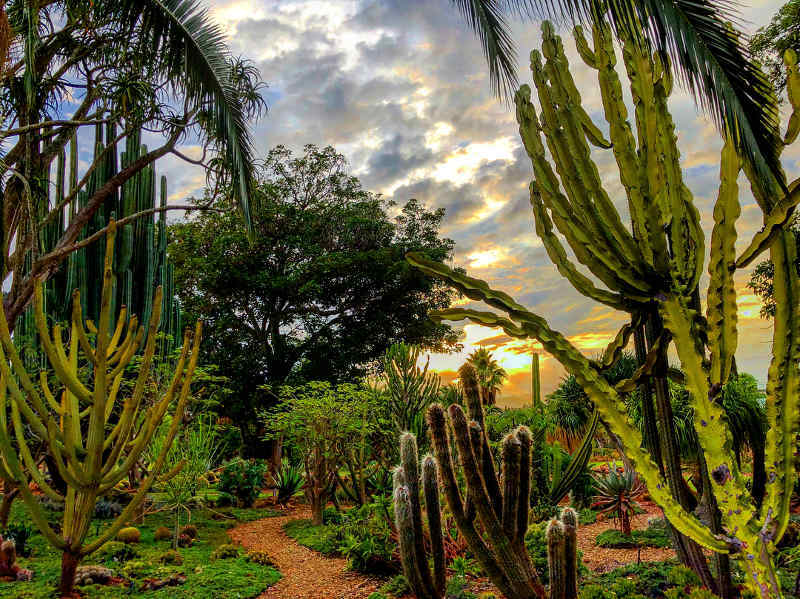 It will take you through charming towns, introduce your palate to artisanal treats and glorious tastes, and offer some truly unique experiences in South Africa. 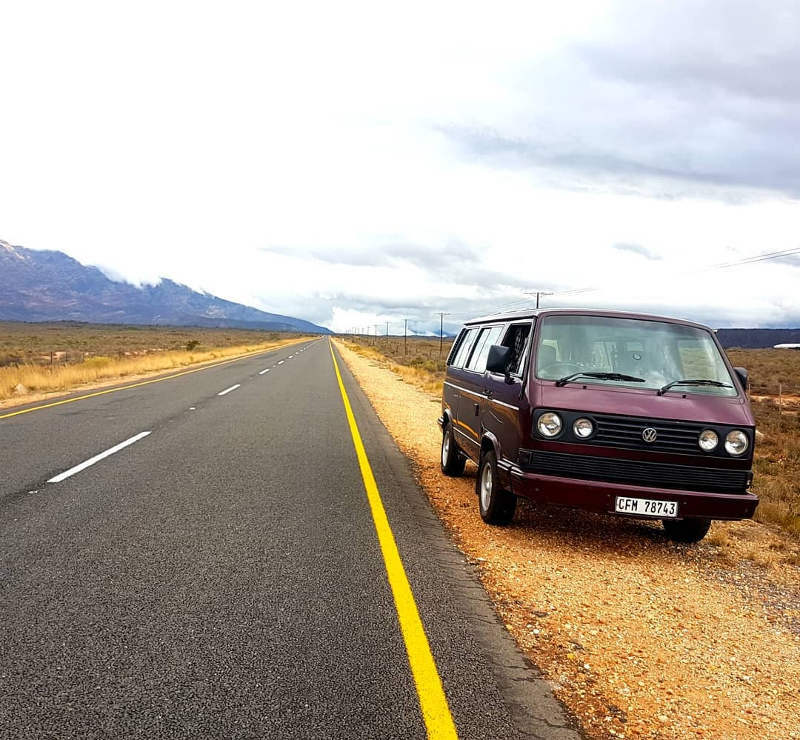 The route stretches from Cape Town to Port Elizabeth and encompasses towns such as Tulbagh, Worcester, Robertson, Barrydale, Calitzdorp, Oudtshoorn, and Humansdorp. It has been called the greatest road trip in the world and holds the title of the longest wine route in the world. Learn about beekeeping and honey making with Farmer Redbeard. 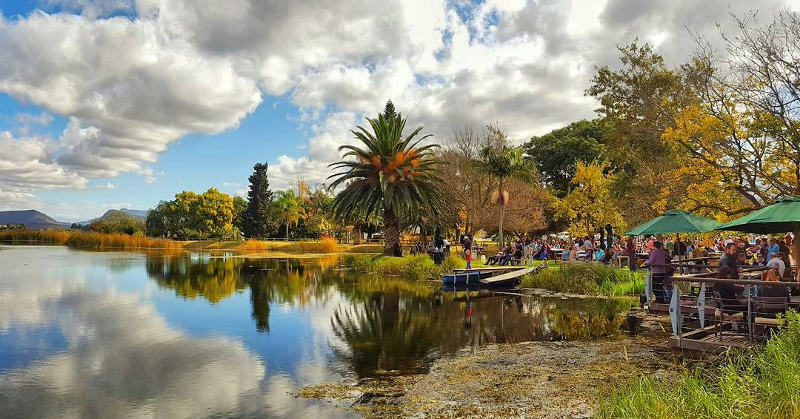 Visit the famous Pampoen Padstalletjie in Worcester. 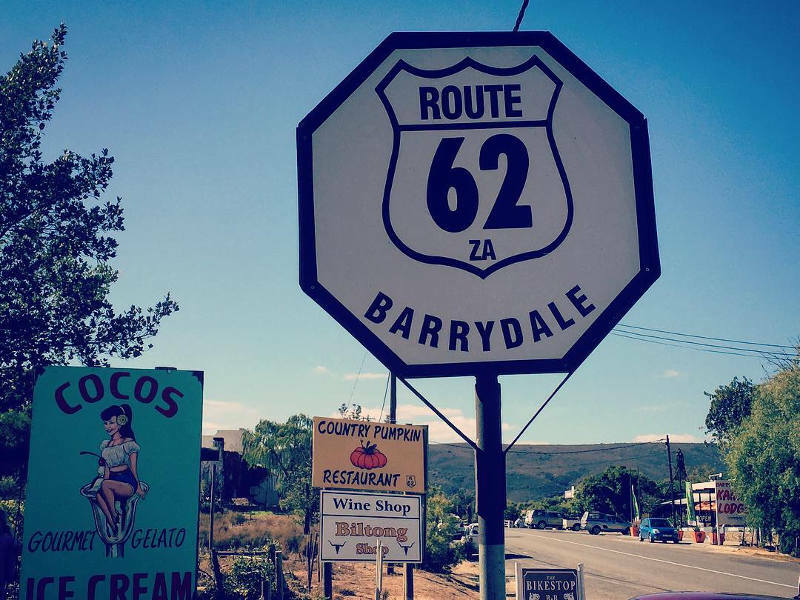 Diesel & Crème is one of the best pitstops along Route 62. Meet doe-eyed rescued donkeys at Eseltjiesrus Donkey Sanctuary in McGregor. Brandy tasting along the Wellington Brandy Route. 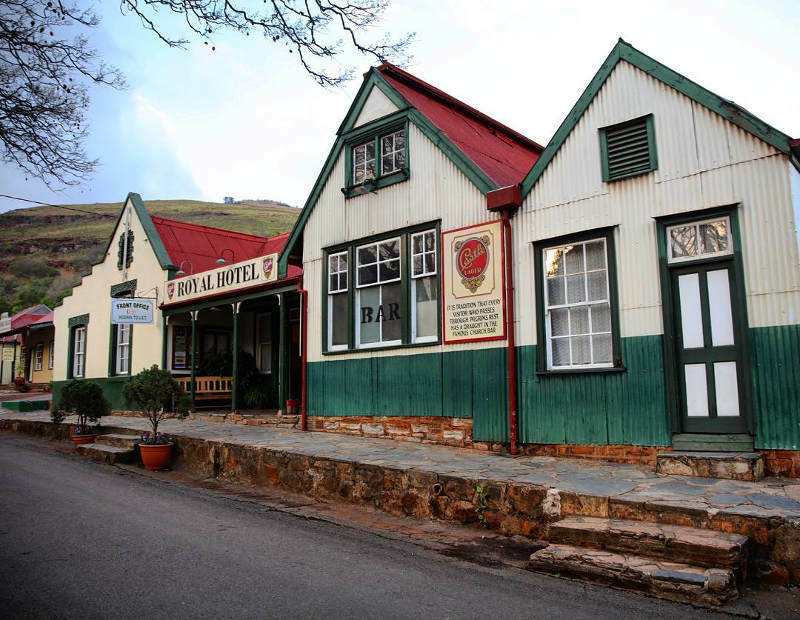 Have dinner in a watermill in Uniondale (Die Watermeul Restaurant). Feast on the best pancakes you will ever have at The Sweaty Dutchman in Kareedouw. 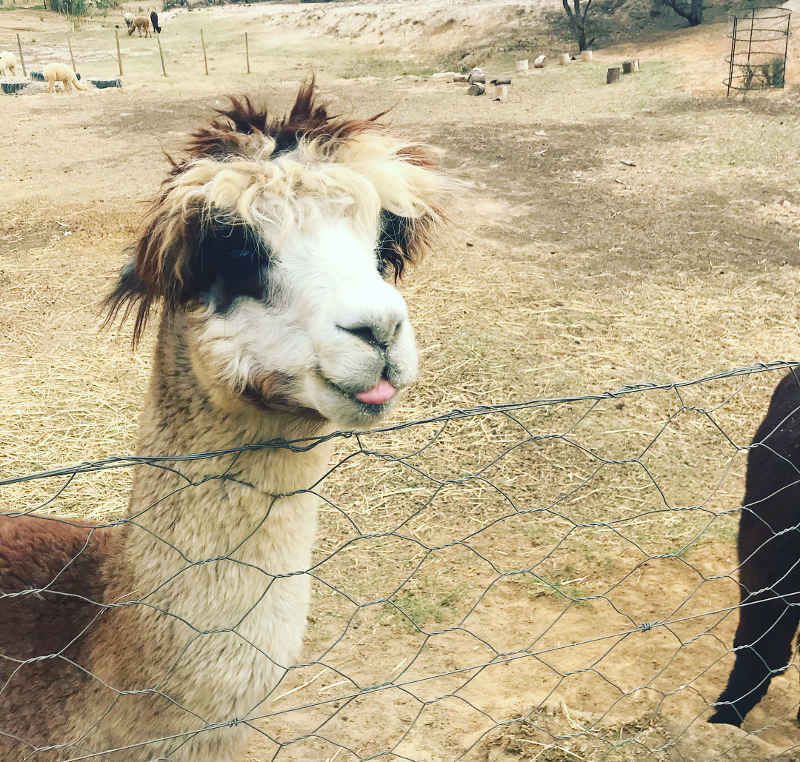 Make friends with alpacas at Quenti Alpaca Mill and the Alpaca Loom. Fill your luggage with cheese at the Parmalat Cheese Factory in Bonnievale. Spring (September to November), when the landscapes are lush with colour and the weather is fantastic. 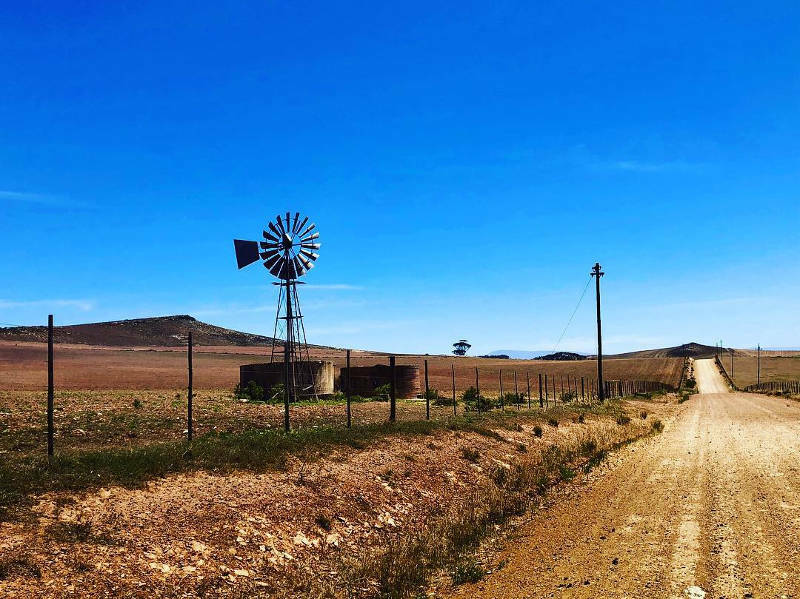 A road trip through the Karoo is probably one of the ultimate road trips in South Africa because it covers such a vast area and offers endless opportunities for exploring the wild open country and discovering the unusual magic of the Karoo. 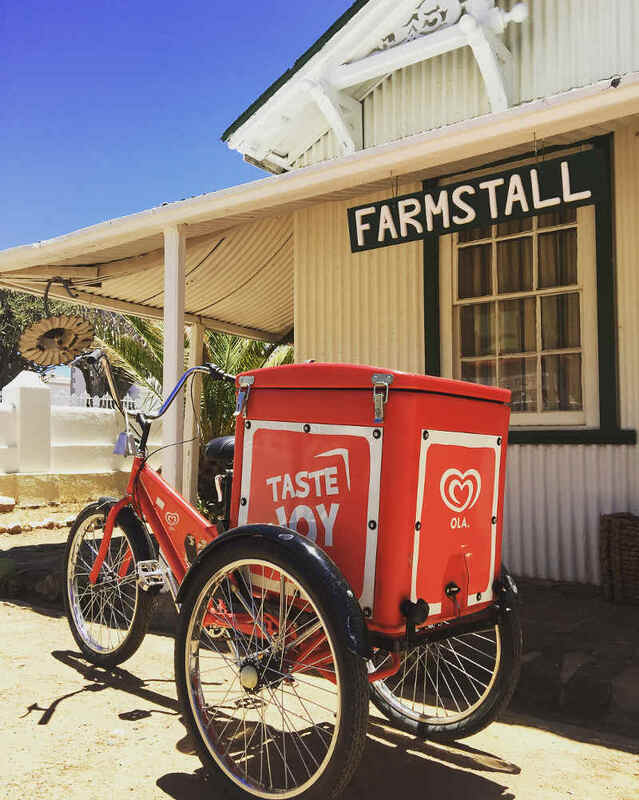 It is a journey through the quiet pastures of canola fields, windmills, and strange roadside attractions, and through old Victorian railway towns like Maitjiesfontein to deeply spiritual places like the Tankwa Karoo. 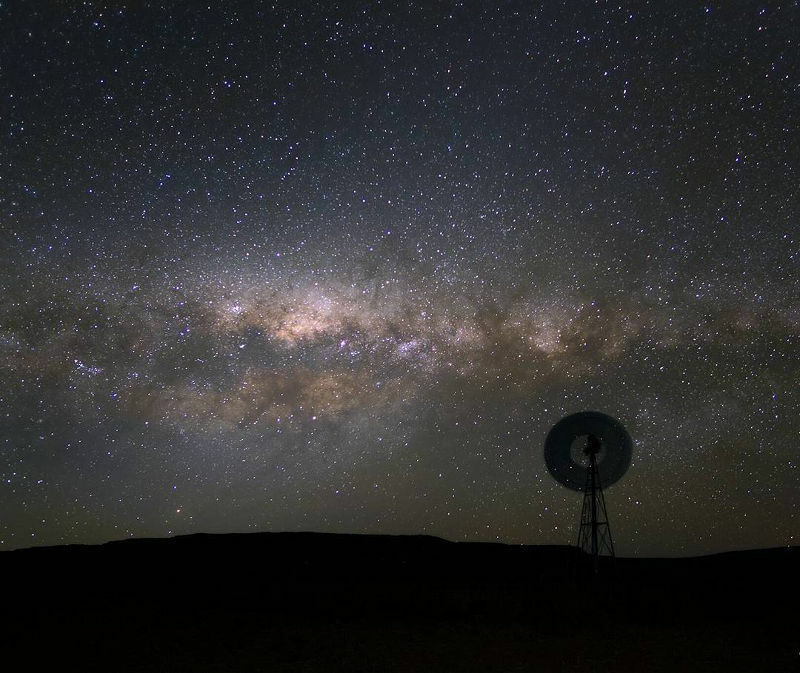 The magic of the Karoo is that it can be both a strange dreamworld of frontier towns and endless wilderness, and a place of friendly old-world towns and slow-moving countryside. 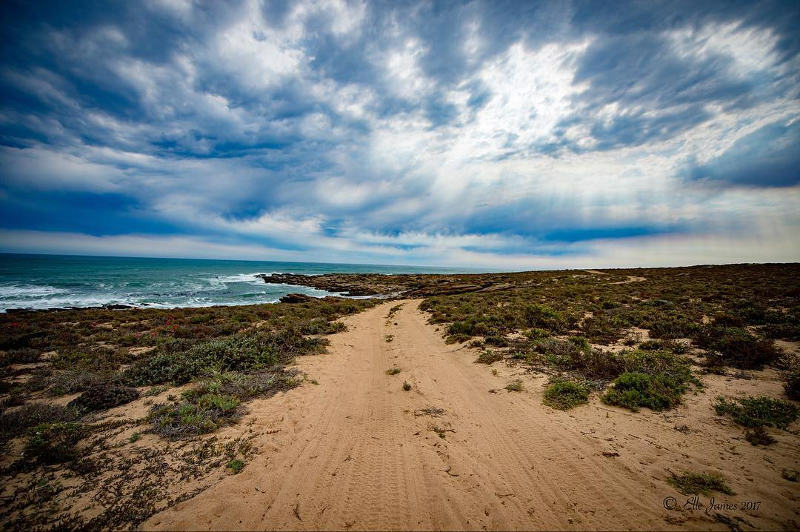 Whichever direction you choose to take, towards the east coast or up to the Northern Cape, you are sure to stumble upon something interesting and wonderful along the way. The Showroom Theatre in Prince Albert. 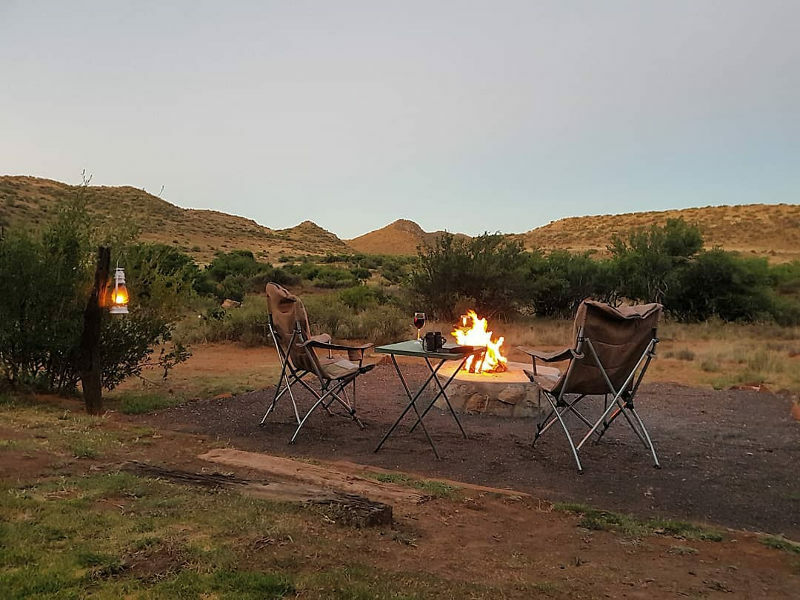 Spend a night in a luxury oasis in the middle of the wild Karoo hinterlands. The oddball appeal of Nieu-Bethesda. Homestyle cooking as you always imagined it to be. The beloved Tankwa Padstal on the R355. Having to stop for roaming wildlife. Karoo biltong and droëwors is the best in the country. Spring, when the landscape blooms with colour. 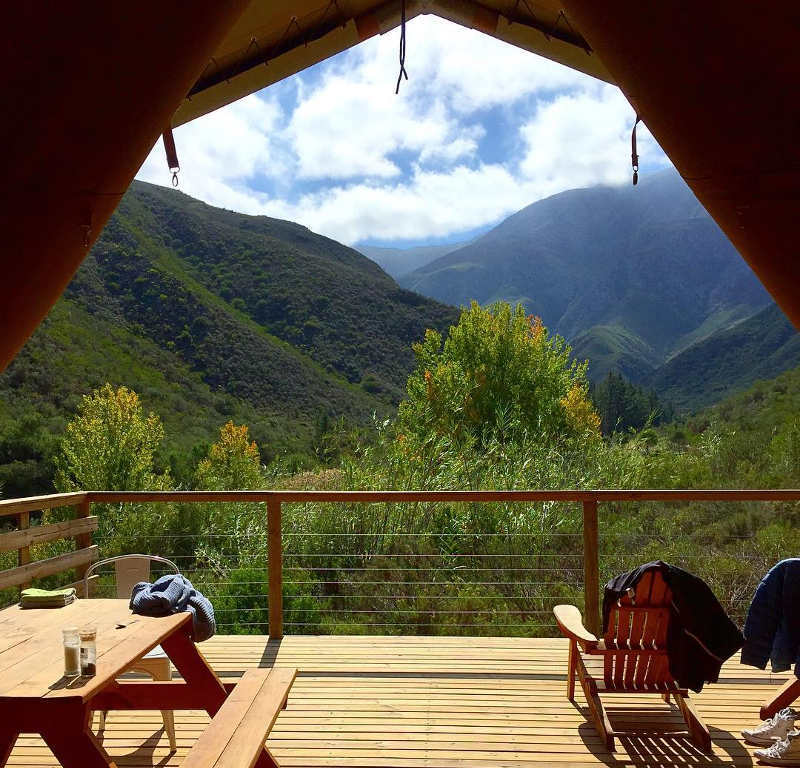 If the Karoo is the heartbeat of South Africa, then the Garden Route is the soul. 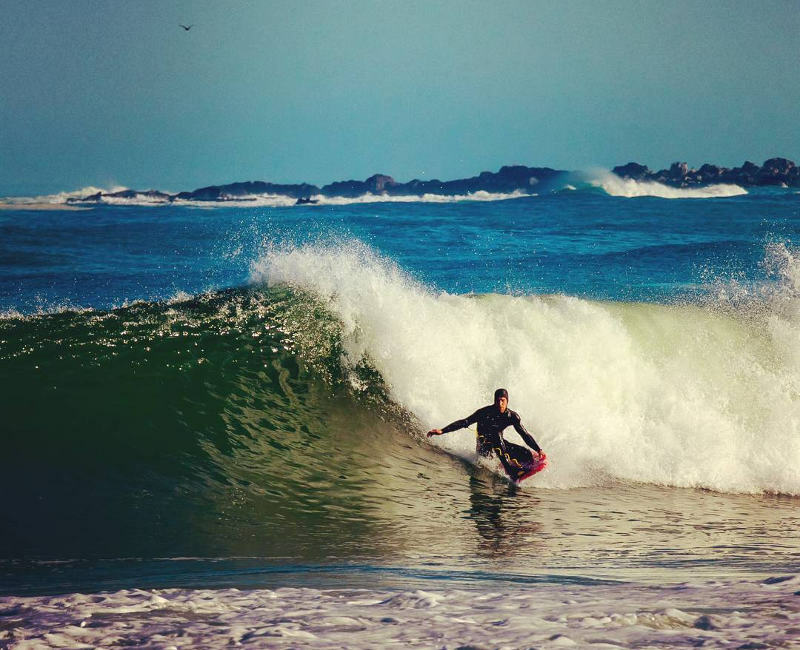 It is a 300km stretch of salty coastline and glorious natural beauty that lures many dreamers searching for inspiration, daredevils looking for adventure, and visitors wanting to experience the wild beauty of South Africa. 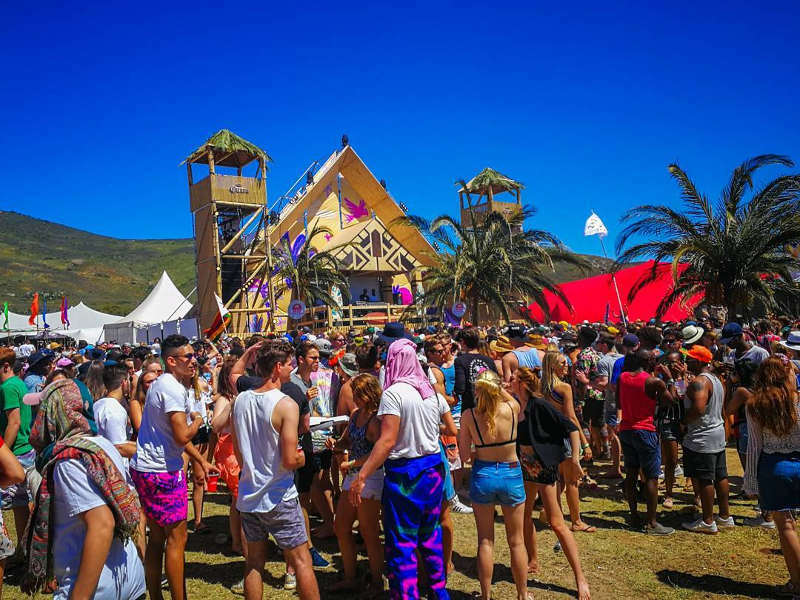 It is a place that is all about good vibes and good experiences. 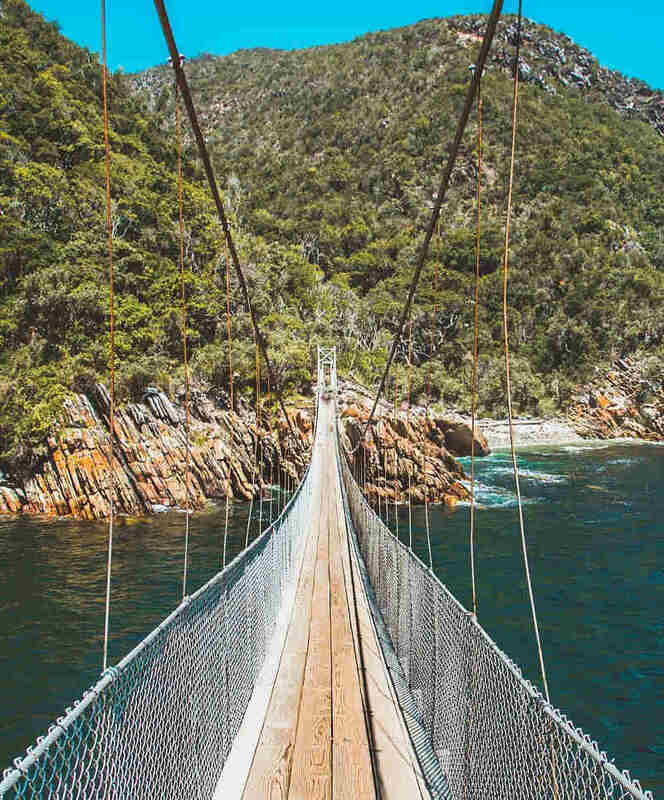 The Garden Route stretches through Wilderness, Sedgefield, Knysna, Plettenberg Bay, Nature’s Valley, and the Tsitsikamma National Park. 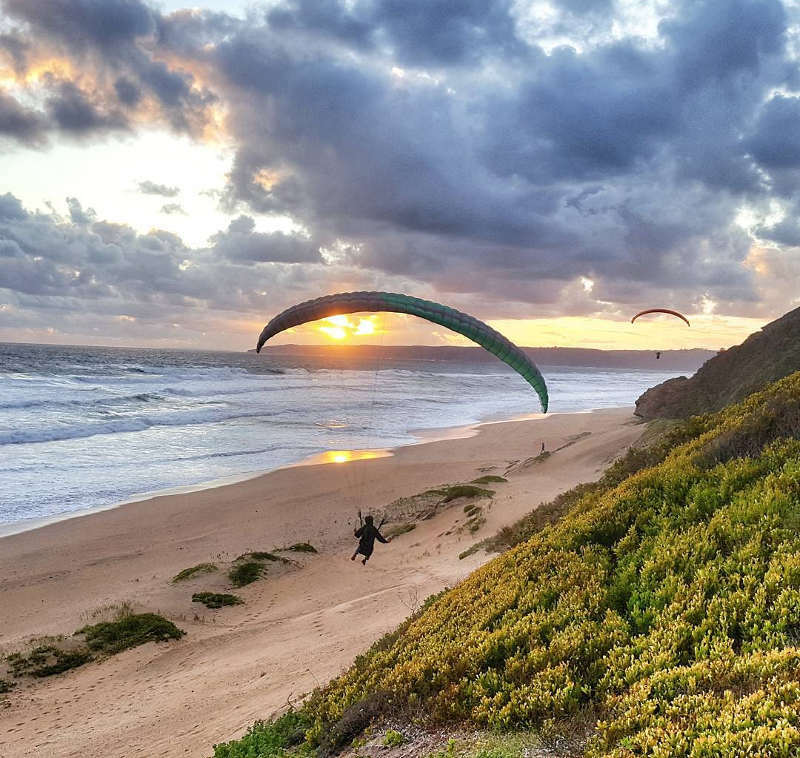 Follow the sweet whisper of nature and the irresistible thrill of adventure and you will soon discover why the Garden Route is one of the most famous road trips in South Africa. 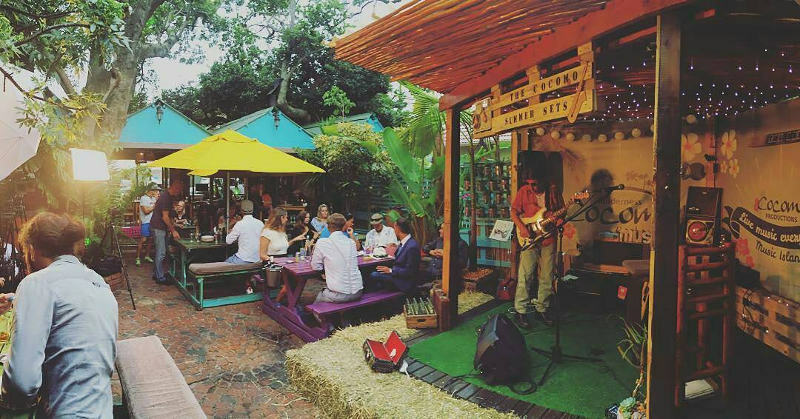 The carefree boho atmosphere of Wilderness (tip: stop in at Cocomo Restaurant for dinner, drinks and live music). 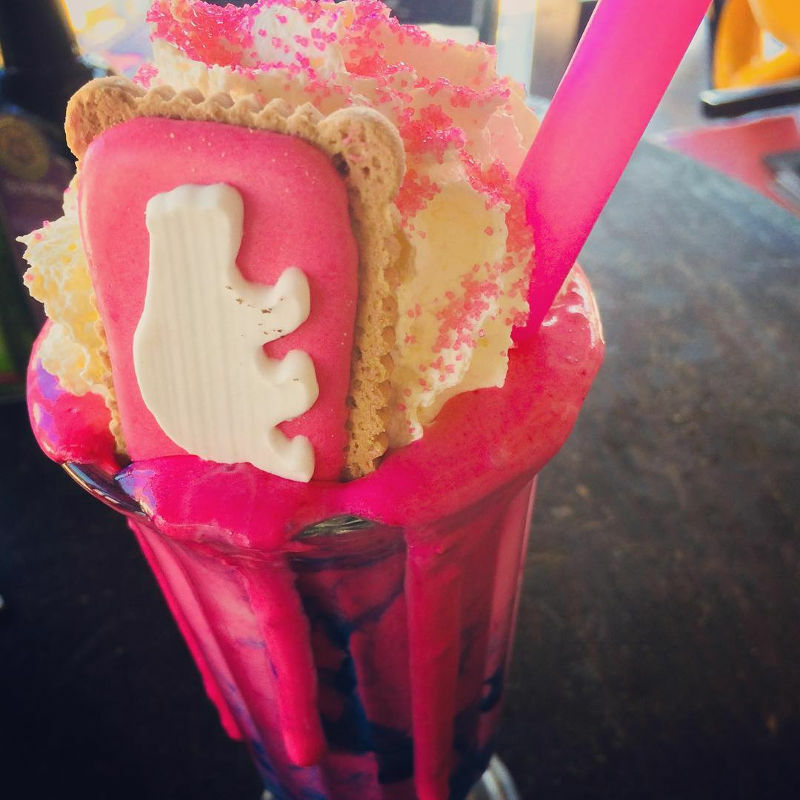 Sip on a milkshake at Marilyn’s 60’s Diner in Storms River. Bungee jump off the Bloukrans Bridge, the highest bridge in Africa. Kayak through towering gorges on Storms River. Discover secret beaches in Nature’s Valley. 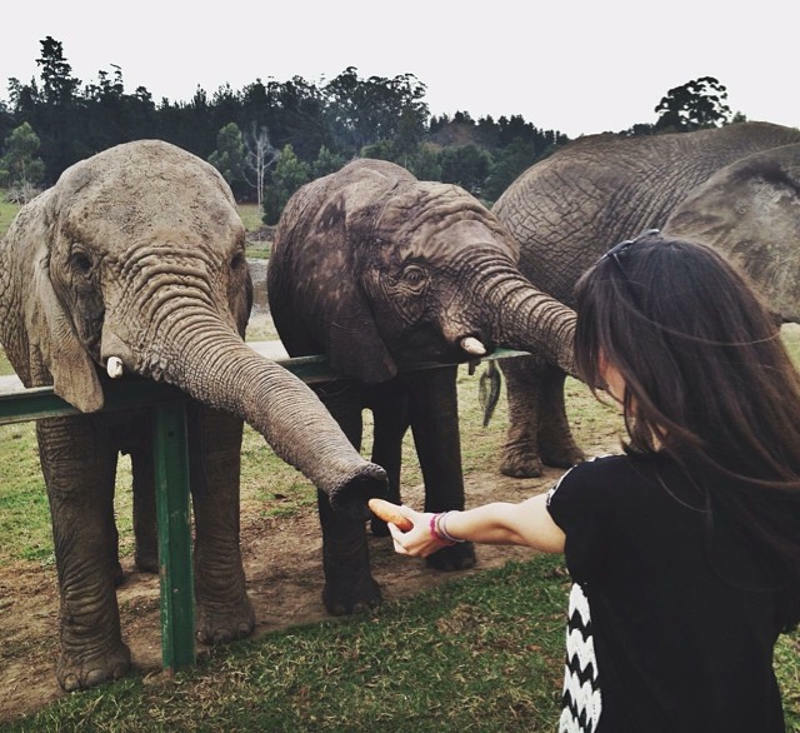 Make friends with elephants at Addo Elephant Park. Learn how to make cheese at Fynboshoek Secret Cheese Farm. Visit Kaaimans Grotto secret cave in Wilderness. Find your Mango flight to George with Travelstart! The Panorama Route is a feast for the eyes and release for the tired mind. 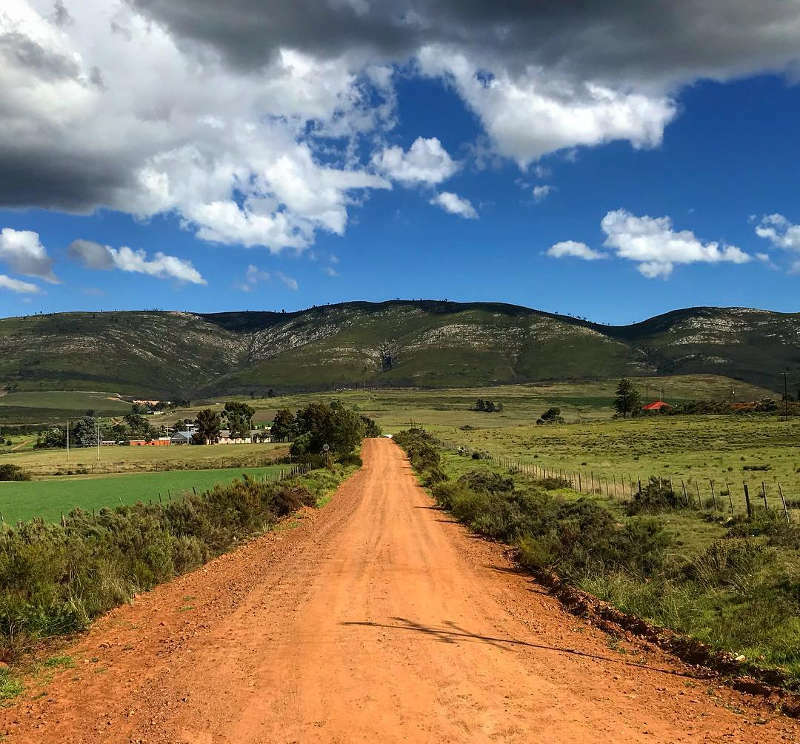 It is one of the most scenic routes in South Africa and known as a place where the skies are so wide you feel as though you can touch the clouds. 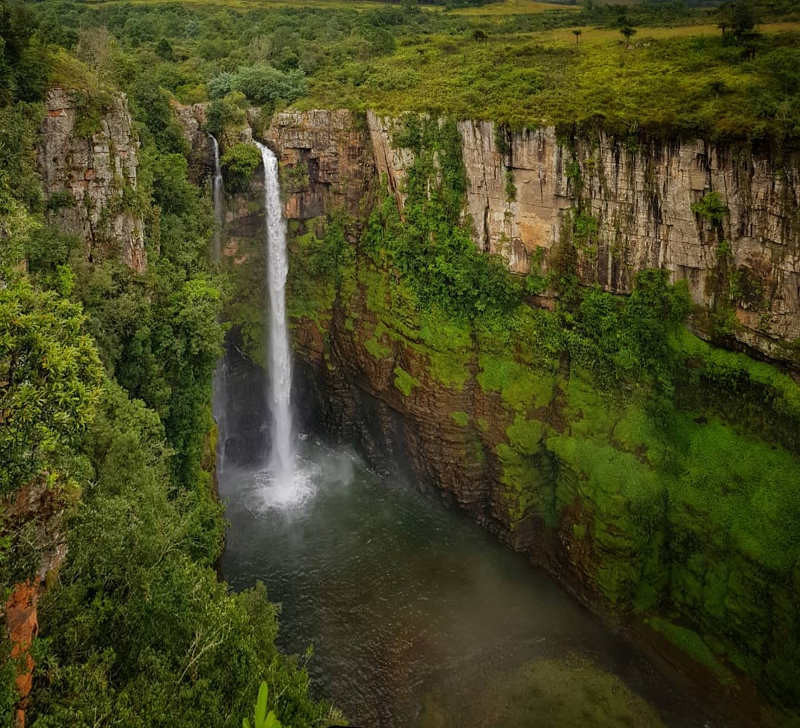 It weaves through the heavenly emerald landscapes of Mpumalanga and hides some of the most magnificent hiking trails and waterfalls in South Africa. 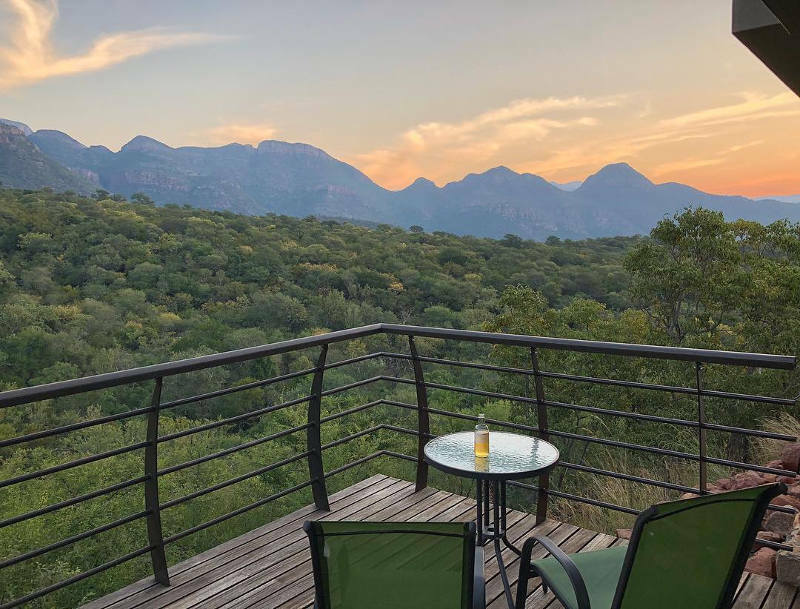 The Panorama Route stretches from the picturesque forestry town of Sabie through Graskop, Pilgrim’s Rest, a 1800s museum town surrounded by lush mountains, and along the Blyde River Canyon Nature Reserve. Many travellers continue up to the Kruger National Park. 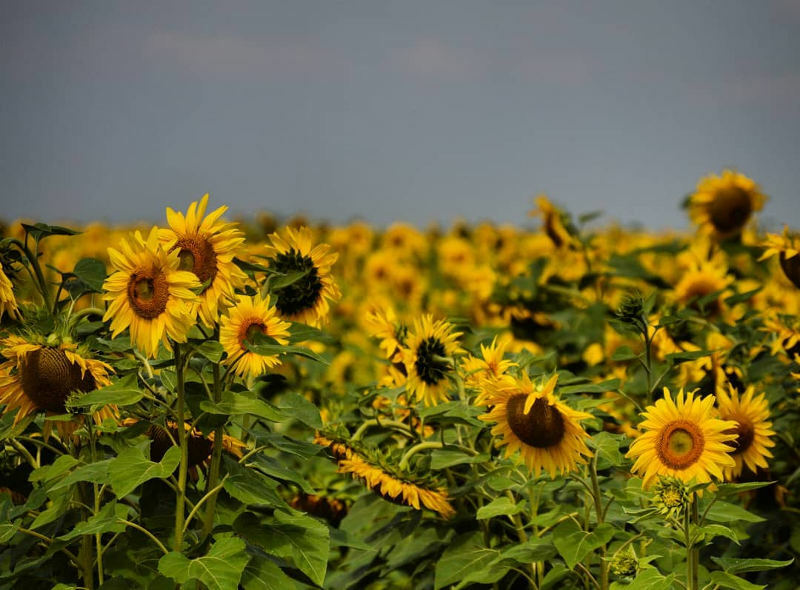 Tip: If you have time, take a detour to Kroonstad near the Free State around September / October to see the fields of sunflowers in bloom. 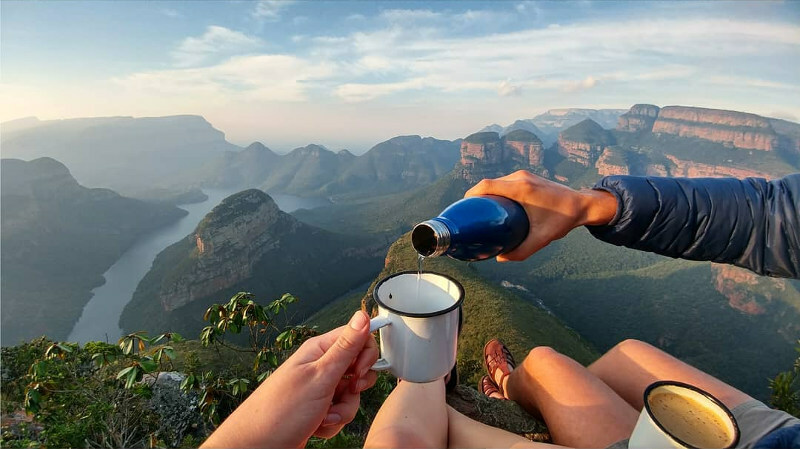 Gaze out over the Blyde River Canyon from God’s Window, The Pinnacle, and Wonder View. Learn about silk production at Africa Silks Farm. Stop at Harrie’s for morning pancakes. Afternoon potjie pitstops at the Smokey Train Diner. A boat cruise on the Blyde River. Beer tasting at the Sabie Brewing Company. Picnics beside the glittering Mac Mac Pools. Wild river raft on the Sabie River. The waterfalls: Lone Creek Falls, Bridal Veil Falls, Sabie Falls, Forest Falls, Mac Mac Falls. When to go: Winter offers spectacular clear views. Spring if you want warm weather. 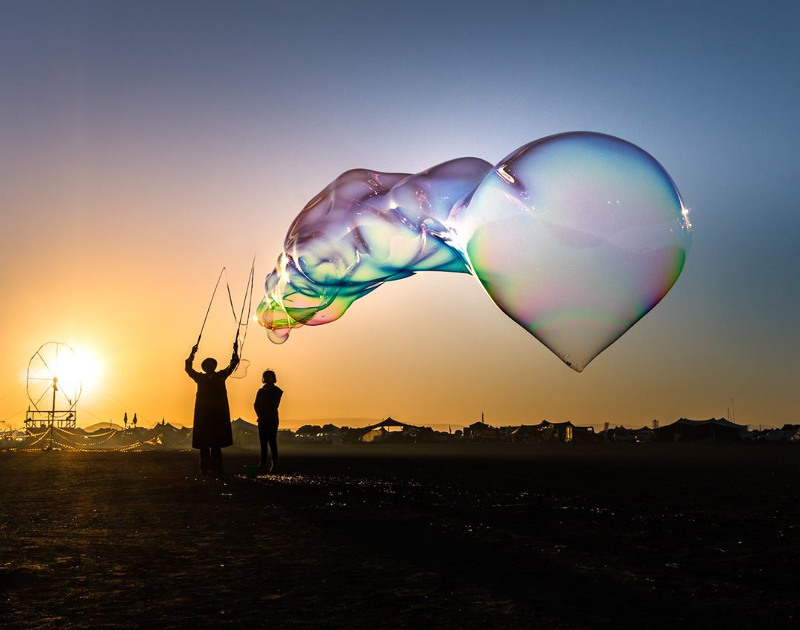 Like the Karoo pulls the romantics, artists, and poets, the West Coast pulls the free spirits, old soul hippies, and ocean lovers. Splurge on freshly baked bread and homemade jams with real strawberries at offbeat padstals; cruise through sleepy fishing villages in search of the best fish and slap chips; witness the seasonal explosion of spring flowers that turn the West Coast into an enchanted garden; or spend your days surfing the Left Break and toasting a beer to another day in paradise with friends as the sun goes down. A road trip along the West Coast is a ‘turn the music up and roll your windows down’ kind of trip. It is all about taking it slow and enjoying the ride. 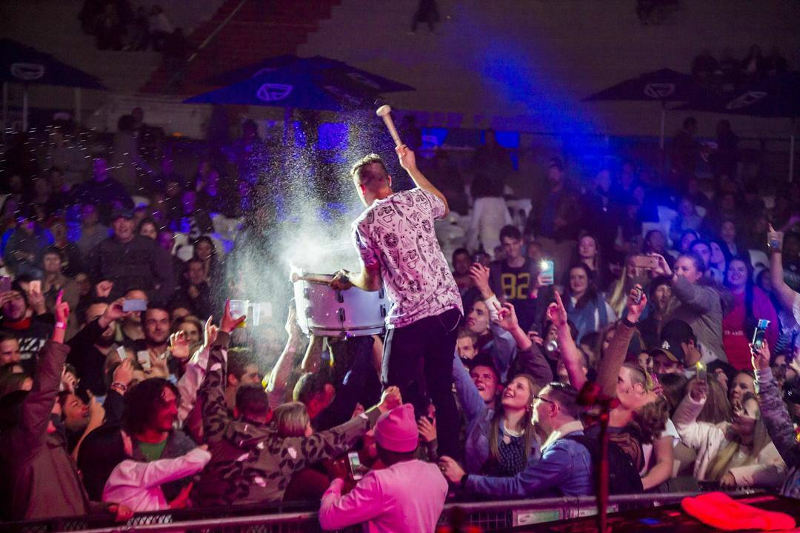 The West Coast starts in Melkbosstrand and stretches through Darling, Yzerfontein, Langebaan, Paternoster, Elands Bay, and Lamberts Bay. 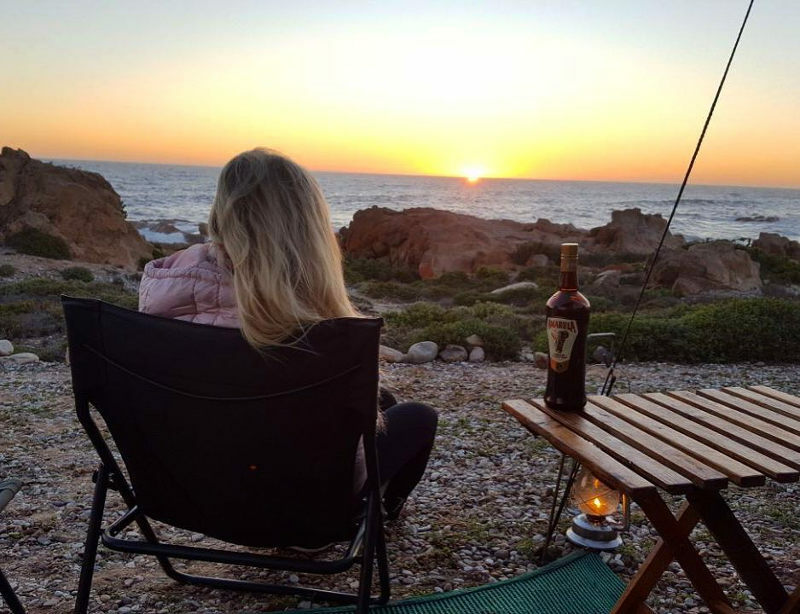 Camp beside the ocean in Namaqua National Park. Spend sunny afternoons strolling through quaint fishing towns. Feast on fresh-from-the-ocean seafood at Die Strandloper. 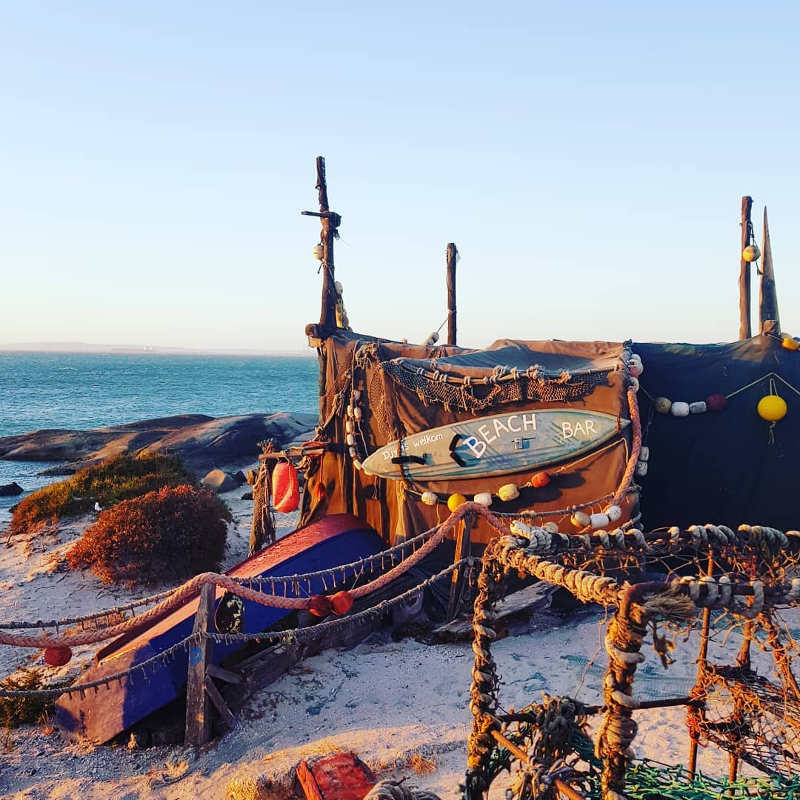 Learn how to kitesurf on Langebaan Lagoon. 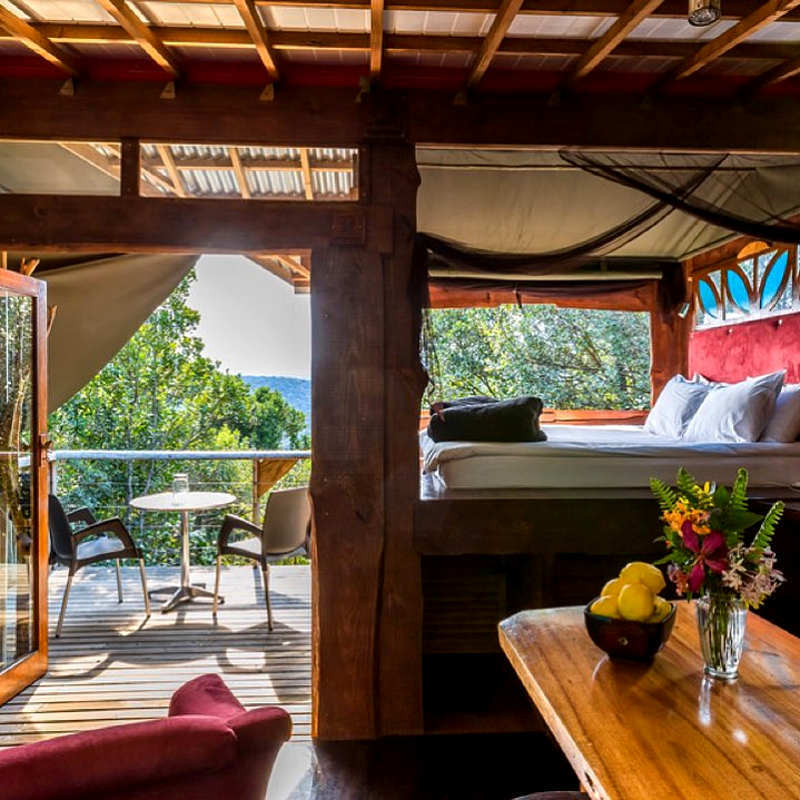 Spend a night on a houseboat in Kraalbaai. 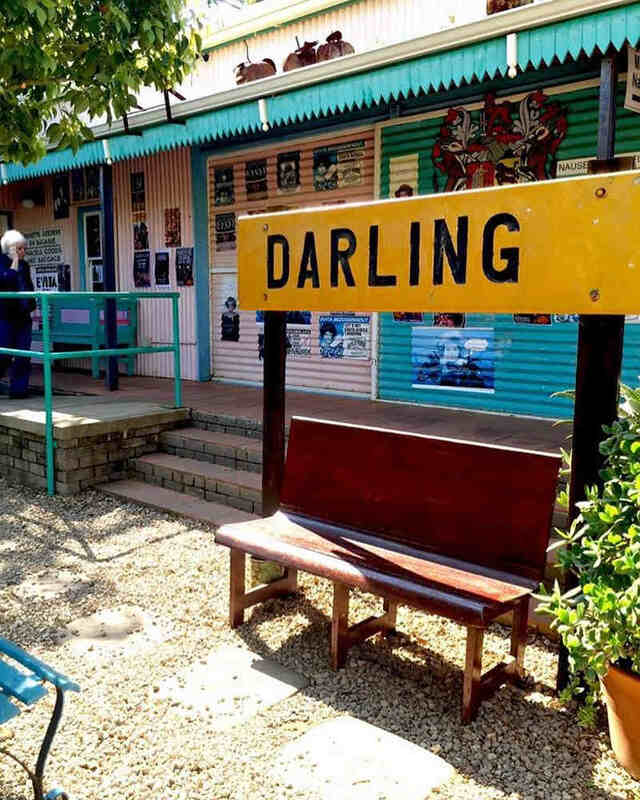 Beer tasting at the Darling Brew Tasteroom & Brewery. Lazy picnics at the many nature reserves along the way. 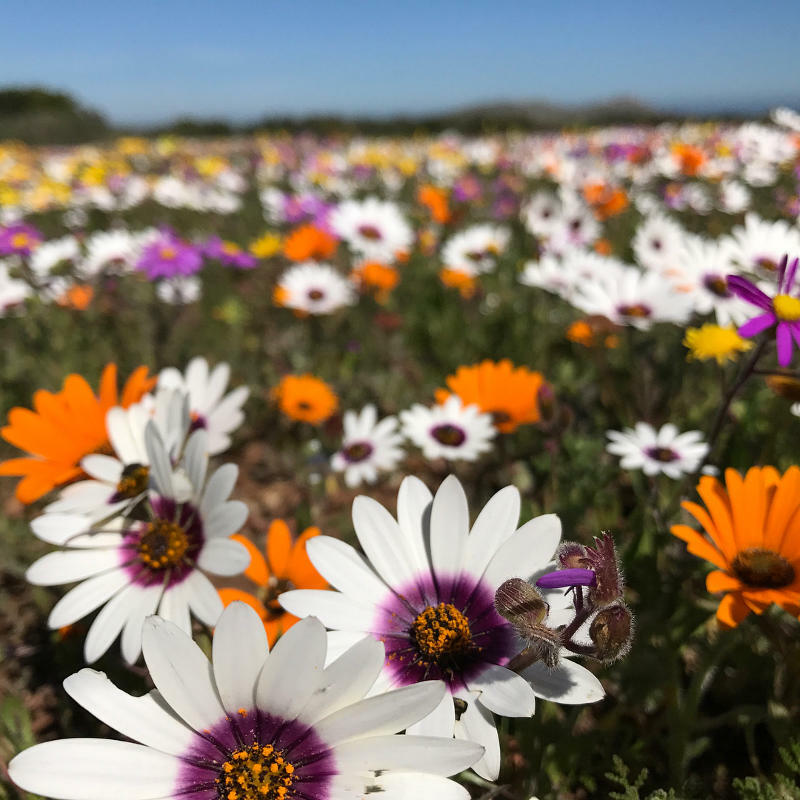 Spring, when the Namaqualand flowers are in bloom and the weather is warm. Don’t forget to pack your driver’s licence. 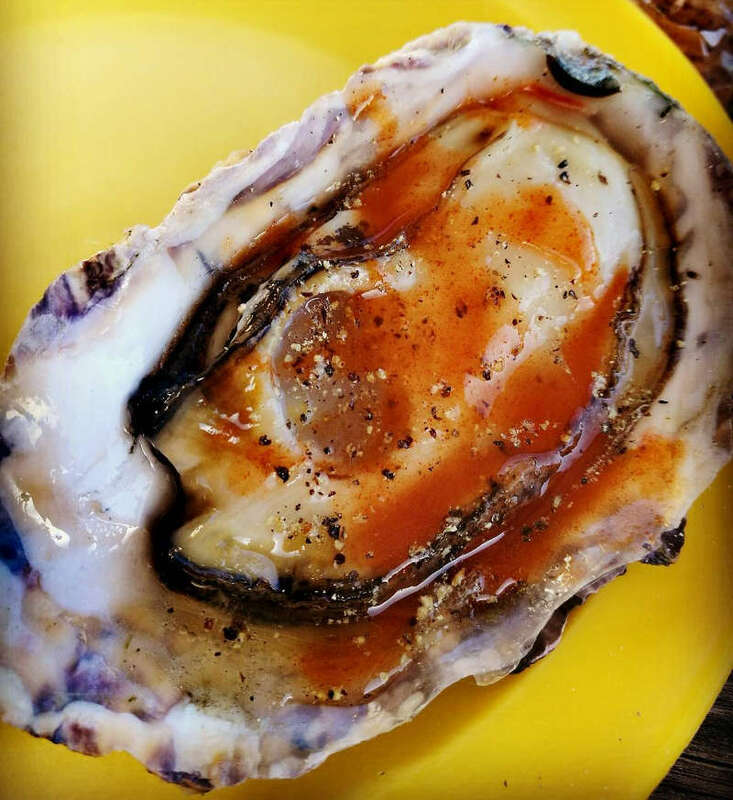 Getting insider secrets from locals about where to eat and making friends with strangers will make the road trip that much more enjoyable and unforgettable. Rent a car that suits your road trip (e.g. rent a bakkie or 4×4 for a trip to the Karoo). Getting lost is all part of the fun. But having a GPS at hand is always a good idea. And always remember to practice the usual Road Safety Advice. Don’t let the fact that you don’t have wheels stop you from exploring the country. Rent a car today and make your road trip dreams a reality. Find and compare cheap car rentals on Travelstart.co.za! 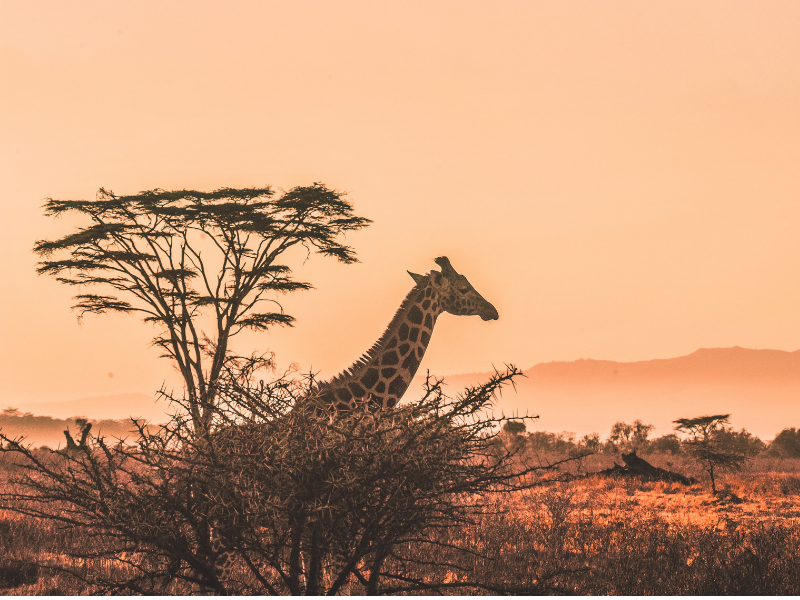 Whether you spend a weekend roaming the coastlines with a tent and some friends, two weeks chasing fire and art in the desert, or a month on a cross-country adventure, a road trip across South Africa is one of the most unforgettable journeys you will ever take. 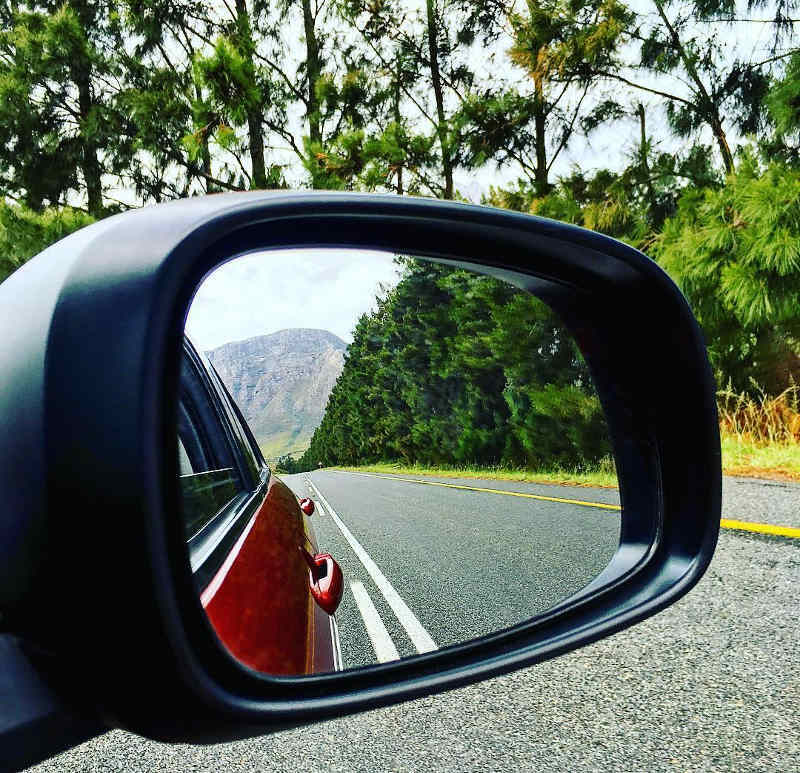 So, pack the car or find that perfect car rental, hit the open road and get ready to create the memories that will make your life the wonderful adventure it is meant to be. All information on this page was correct at the time of publishing and may change at any time without prior notice.